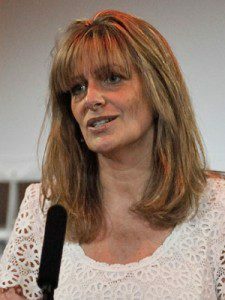 Lindsey Clay is Chief Executive of Thinkbox. Funded by the commercial TV companies, Thinkbox is the marketing body for commercial TV in the UK, in all its forms. Prior to joining Thinkbox in 2007 Lindsey had roles at advertising agencies including McCann Erickson and JWT. Lindsey is a member and former Honorary Secretary of WACL (Women in Advertising and Communications London). She is on the board of the British Arrows (formerly known as the British Television Advertising Awards) and is on the steering committee of the Rank Fellowship. In 2014 she featured in the Sunday Times’ “Debrett’s 500”, a list of the most influential people in the UK. In that magical summer of 2012 a TV ad exploded onto our screens. It was there to trail Channel 4’s Paralympics coverage and alongside that ground-breaking coverage, was widely credited with helping to change attitudes to disability in the UK. To the accompaniment of a Public Enemy soundtrack viewers were invited to “forget everything you know about humans” and “meet the superhumans”. Assumptive, unapologetic, almost arrogant, at one blow it made traditional representations of disability seem like something out of a different century. A TV ad is a somewhat surprising source for a radical challenge to our perceptions. By its nature, advertising tends to be something of a conservative medium when it comes to representing change in society. So, those advertisers leading the way on this front should be applauded for their efforts. Marks and Spencer is one of those. 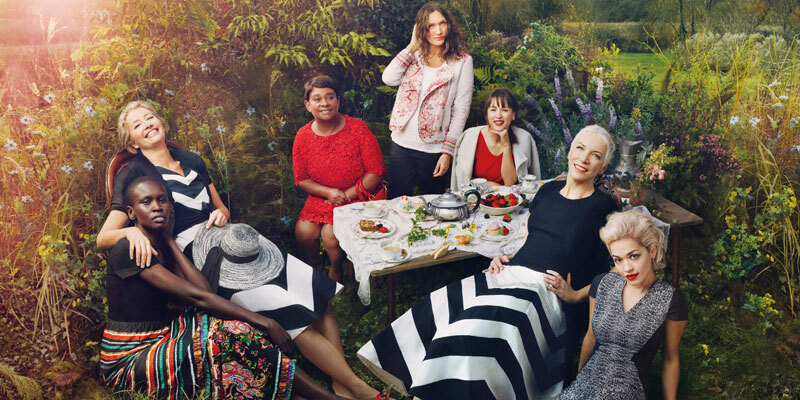 Their latest “Leading Ladies” campaign features an eclectic group of influential British women from very diverse backgrounds, including Baroness Lawrence, mother of murdered teen Stephen and civil rights campaigner, singer Rita Ora, actress Emma Thompson, chef Rachel Khoo, and engineer Roma Agrawal. All are stylish and attractive (it is a fashion brand after all) but it’s great to see women being celebrated for something other than looks and style alone. How many female engineers can you name that have appeared in advertising campaigns? I think I can count them on the fingers of one finger. Another example of forward looking representations of gender is an ad for GE in the US. Through the approach they have taken, much is communicated about GE as a creative and innovative company but much is also suggested about the company as an enlightened employer brand. A 6 year old girl talks about the amazing things her “mom” does at work. “My mom, she makes underwater fans that are powered by the moon”, “My mom makes hospitals you can hold in your hand,” and you see through her mind’s eye what these magical creations might look like. 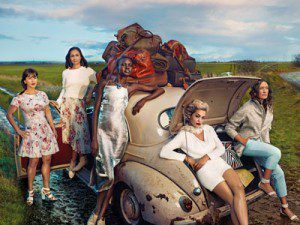 Advertising has caught up with society in its portrayal of women to the degree that we now don’t just see women having animated conversations about cleaning products in domestic settings. The image of the busy working woman is one played out in countless ads but when children are also involved, work is often presented as the negative thing that takes her away from her real priorities. How refreshing therefore to see an ad which shows a child, and most particularly a girl, being inspired by the wonderful and creative things her mother is doing at work. And these are not the only refreshingly positive representations of gender. We can see men driving their babies around at night in a desperate attempt to get them to sleep (VW), young girls gathering up their pink playthings to build a rocket ship (Goldieblox Toys) and everyday superhero women of all types refusing to break their stride for anything that life might throw at them (Batchelors Delibox). Maybe it’s just because it’s spring and everything feels optimistic right now but I’m sensing winds of change abroad around issues of gender. Following decades where feminism was almost a dirty word there are now all sorts of groups gaining real traction in challenging and changing perceptions of female representation from Everyday Sexism, and No More Page 3 and from Pink Stinks to the 30% Club. Within the advertising community, we are working on it too. I am a member of a club called WACL (Women in Advertising and Communications) and we work hard through our training and mentoring events to remove the obstacles to success for up and coming women in our industry. My personal hope is that the more women we can help get to the top of our profession, the greater the likelihood we have of changing the representations of women (and men) for the better. I look forward to the day when we won’t have to work quite so hard on this.